The Field of Remembrance is a fantastic open space with the field, children's play area, woods and pond. It is enjoyed by a wide section of the community. This facility is owned and maintained by the village and funded mainly by public donations. 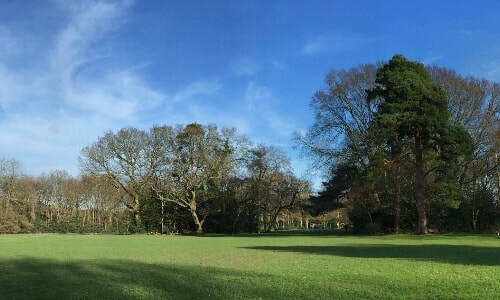 You may have noticed that the old pavilion has now been demolished and work is already underway to build the new pavilion with a scheduled finish date of April 2019. Please see our pavilion pages for regular updates. How much does it cost to buy a brick? Bricks can be engraved with your name, a message or company logo. If you have trouble downloading, please email: windleshamfor@windleshamfor.com and we can email a copy of the form over to you. There are 3 ways to donate!